The nation’s healthcare delivery system continues to evolve. A curious thing about trend-watching is not that trends suddenly appear. Sometimes that’s true, but not always. In fact, marketing professionals are aware of the healthcare marketing trends on our list. What is important–the significant dynamic at work here–is change. It is the degree of change that marks a meaningful trend. It becomes something worth watching, evaluating and bringing into your thinking and your planning. A backdrop of near-constant change in healthcare brings challenges and opportunities. Doctors, hospital executives and marketing professionals have the option of “going along,” or they can proactively manage the course and direction of change. Social messaging apps are becoming marketing platforms. Facebook, Twitter, and the other big names are still popular social hangouts. But what’s growing in popular use are the social messaging apps, such as Snapchat, Messager, WhatsApp and others. As they have in China and elsewhere, these convenient apps are fast evolving to multi-purpose platforms. Real-time customer conversations and relationships are the traditional roots of messaging. Expect new advertising and marketing possibilities to emerge as chat apps continue to grow. Smarter content wins patients. The significant trend is presenting content that is authoritative, interesting and share-worthy. The Internet is healthcare marketing’s front door. Patients—now responsible for an expanded share of medical costs—search online for valuable and relevant information. Amid increased competition for the reader’s attention, today’s content must be fresh, social-sharable and reliable to earn respect and build trust. Personalize; individualize. Marketing delivery systems are more sophisticated. The public/audience has also become resistant to old-style, broad brush advertising methods. Contemporary marketing methods identify user interests and deliver timely, personalized and relevant content on a one-to-one basis. Retargeting, for example, displays ads to individuals who indicate an interest in your website or content. As digital marketing automation creates a user profile, relevant, and personalized messaging is more attention getting and generates greater interest and response. Optimize for mobile, the new universal standard. In the US, four out of five Americans own and use a smartphone. Laptops, desktops, and tablets are still commonplace. But an individual will likely connect first using a smartphone. The ability to send and receive email, make Internet connections and do immediate online research is ever present. Healthcare marketing needs to think of the mobile screen first, and budget for and adapt that message to other options. Location-based marketing. Ubiquitous smartphones present marketers with the ability to target and reach a patient/audience by their location as well as by niche. For example, in one strategy uses the device’s location to alert the audience about nearby facilities. Further, location-based marketing can detect and adapt to the social and personal preferences of the audience. Live video speaks louder than text. Internet technology now supports online video delivery, with far more available options than YouTube. What’s more, video has a stronger audience appeal (about four to one) than text. 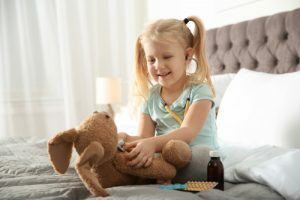 Contemporary healthcare marketing can share stories by way of video content and live streaming video on websites, blogs and by way of social media platforms. The advantages include timeliness, immediacy, and educational impact. Marketing plans and budgets are shifting and increasing in video categories. Programmatic video buying is more cost-effective. Sophisticated software can draw on real-time data and produce greater effectiveness from a media budget. Programmatic media buying purchases digital video advertising and presents video ads to precisely qualified customers at the exactly the right time. Within the next two years, programmatic video will account for the majority of digital video spending. Monetizing telemedicine. Telemedicine advancements are due mainly to technology and consumer expectations. 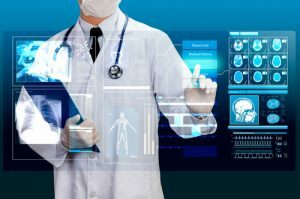 But telemedicine services are experiencing a breakthrough as medical practices become aware of the ways and means to charge for these services. 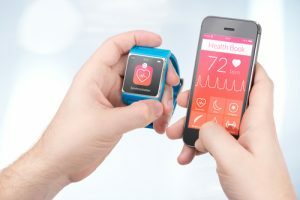 Medical practices are beginning to recognize consumer demand for text, email, and similar connectivity conveniences. What’s more, monetized telemedicine options—such as online doctor-patient consultations—contribute to office efficiency, profitability, and brand differentiation. Patients as informed consumer/buyers. The marketing battle for new patients is played out long before the first appointment phone call. Patients research medical and health information, treatment options, provider selection criteria and dozens of other considerations. 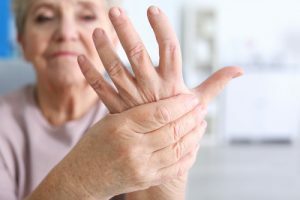 Today’s patient has a great deal more “skin in the game” than previously, and their research guides their decisions about treatment as well as their selection of a provider and/or hospital. Today’s informed consumer/patient is willing to post physician ratings online, and to make (or withhold) provider recommendations. Patient’s time is just as valuable as a doctor’s time. In a patient-centric world, convenience is the new competitive currency. Patients want convenient and prompt appointment times. There is no patience for waiting days or weeks for an appointment. And little understanding about having to “wait in the waiting room.” Change has driven a new consumer reality. Patients expect and demand a retail consumer experience. 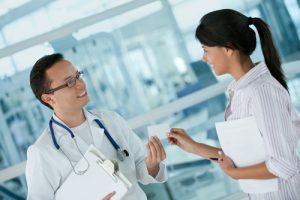 The broader trend picture here is that healthcare marketing is about the one-to-one conversation between the health care provider and the individual prospective patient. Enabled by technology, marketing, and advertising continue to shrink from one-to-many to an increasingly precise one-to-one. Patients/consumers can be reached in a defined geographic location addressed by their personal smartphone. It’s about the ability to deliver exactly the right message at exactly the right time to the specific individual in need. And today, more than in the past, marketing is about a dialog, a conversation, and a relationship. Please join in our conversation. 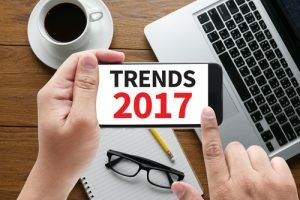 What other healthcare marketing trends would you add?